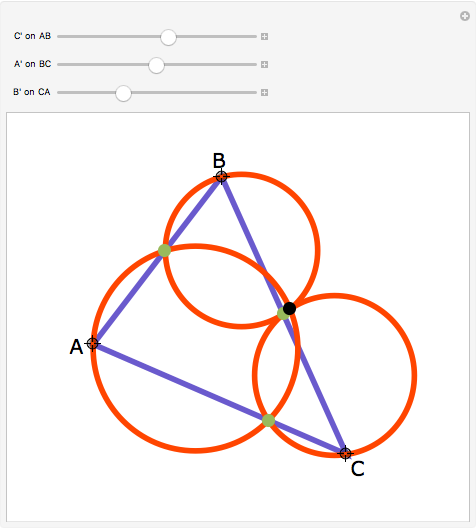 Let A', B', and C' be points (green, not labeled in the figure) on the sides BC, CA, and AB of the triangle ABC. 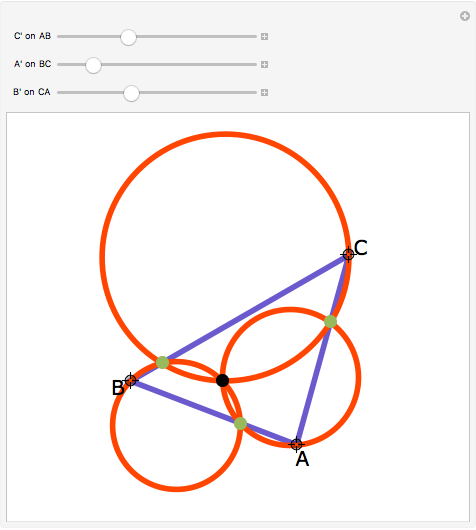 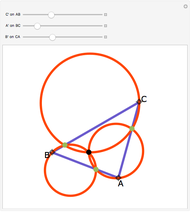 Then the circumcircles through the triangles AB'C', A'BC', and A'B'C intersect in a common point. 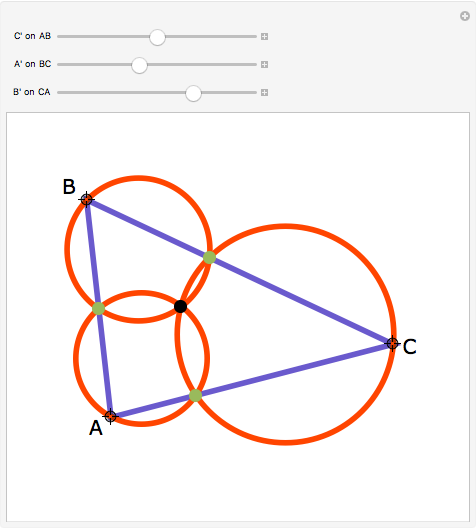 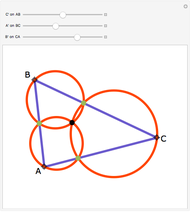 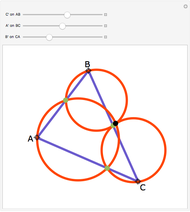 Drag the vertices of the triangle or the sliders to change the figure.